Read Your Mind for Android is just released. A very simpe game that can read your mind ! Ask your friend to pick a number between 1 to 100, and don’t let you know. 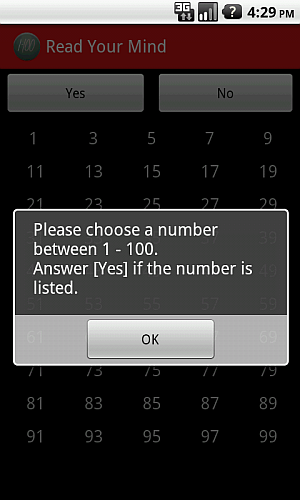 Over 90% of the time, this App will pick the number correctly !! !